Another one of these monsters on top of some entrances in the block of houses where we live. 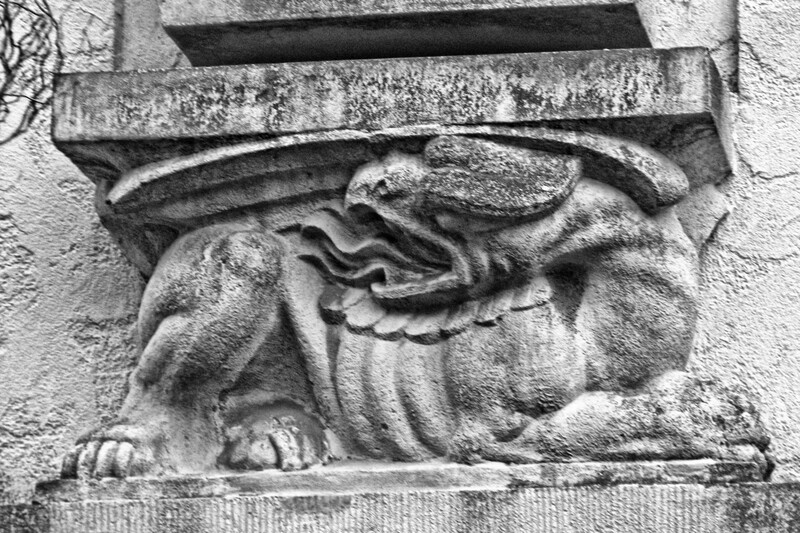 I like this one – it seems to be a fire-breathing dragon! I’ll see if I can take some more photos of the other “monsters” soon.